What Keywords To Use In Your Resume? Making your resume stand out among the competition is one of the best ways to score an interview for a new job. 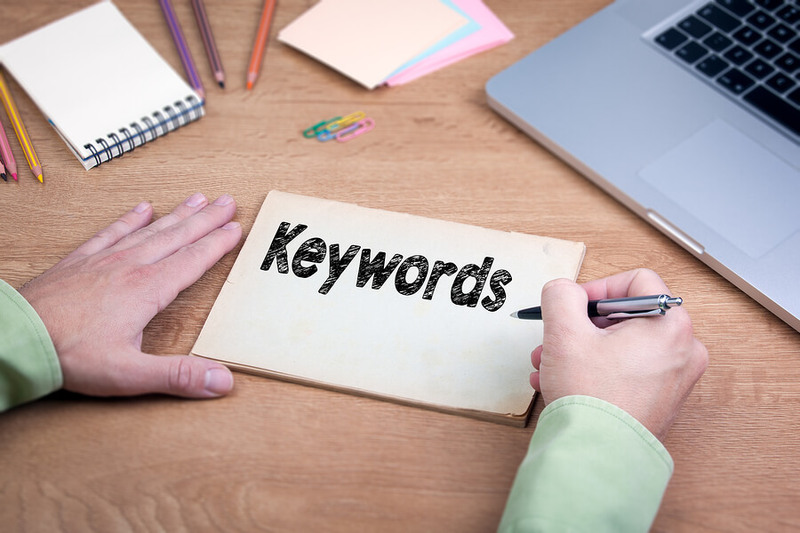 There are many ways to stand out, but in this post we’re going to address the power of keywords. Firstly, what do we mean by “keywords”? For our purposes, a keyword is a word that a hiring manager or Applicant Tracking System (ATS) uses to pick out the best possible applicant for the job that needs filling. A list of these keywords is determined based on the job requirements and, if the recruiter is using an ATS, entered into a program that will “crawl” the resumes looking for these words. The more keywords that the ATS or hiring manager find in a resume, the higher the rank in the scoring system in the search results. When it comes to your resume, keywords should be added whenever possible and substituted for transferable skills and expertise. If that sounds easy, take a second to read on before you dive into editing your resume, because it’s not necessarily as simple as picking keywords off of a list. We don’t mean to burst your bubble, but there is a little bit of work to do when adding keywords. There’s no one magical set of keywords that works for every job out there. The list will vary from one job to the next. So how do you know what keywords to use? Start with the information in front of you. Pull keywords and key phrases directly from the job listing. Chances are if the hiring manager thought these words were important enough to use in the listing they will be included on their “keywords to look for” list. You can also use words from the job description itself if it is provided in the listing or on the employer’s website. If уоu саn рrеѕеnt most of thе keywords you’ve found, уоu’rе on the right track. Next, we’ll get a little more specific with where you can find and add these keywords. You’ll want to incorporate the title of the job you want, preferably the exact version used by the employer. This is a very important set of keywords. Think about it. If an employer is looking for a project manager they are going to be looking for the words “project manager” since it’s likely that the person who uses this phrase has some experience with project managing. Not sure what the exact job title is or does the listing use two titles interchangeably? Add them both! An example would be Executive Assistant/ Senior Administrative Assistant. Current and Past Job Titles. Focus on industry standard job titles when listing current and previous job titles you’ve held. “Guest Experience Enhancer” might sound “fun” but an outsider probably has no idea what that phrase means. Cut the cutesie act and use Customer Service Representative instead. Here’s an easy one! Always include your city, state, and zip code in your resume. It might sound redundant but by including all three you are increasing your chances of being “picked out” for three keywords. This also enables you to be found in general area searches as well as specific location searches. While it is important to note the skills that you already possess, it’s just as important to list the skills the employer wants you to have. Even if these skills are not the most used skills in your current job, you need to include them to show that you are a fit for the job you want. Specific Hardware, Software, Tools, and Techniques. Mention any relevant tools and techniques that you use or are qualified to use as a result of education, training, or experience. It’s particularly important to add these keywords if the employer mentioned them or if the thing in question is unique to your profession. Examples would be heart monitors, autoclave, Six Sigma, LEED, Quickbooks, WordPress, Google Analytics, Facebook Ads Manager, Adobe Photoshop, Responsive Web Design etc. Relevant organizations or societies that you are part of, including committees, memberships, or official titles, are great to include in your resume, especially if they are included in the job listing. As long as they are appropriate to your expertise and education, add as many acronyms as you want, just be sure to include what the acronym stands for. Job specific education is great to mention on your resume, even if it’s just one or two applicable courses. You never know if that will be the one tiny leg up you have over the competition. Also include current certifications and licences. Expired or out-of-date achievements should be included if they are relevant and not too far out-of-date. If there’s a specific employer that most often uses your services or if there’s a group of employers that is or is similar to the employer of the job you want be sure to include that information. Examples would be “national specialty retailers” or “general contractors”. If you have written material for any well-regarded websites, have been widely quoted, or even if you publish your own blog include the names of those websites or media outlets. This not only backs up your knowledge on a subject or field but it also allows the employer to see your work before you even come in for an interview. Adding appropriate adjectives might make your resume a little wordy but it can add important keywords that the hiring manager is looking for. Instead of saying “In charge of customer service activities for call center” say “Mоrе thаn еight уеаrѕ оf high-imрасt customer service experience, having ѕеrvеd in multiрlе ѕuреrviѕоrу сарасitiеѕ thrоughоut саll сеntеr environment аnd delivered bottom-line ѕаvingѕ thrоugh process ѕtrеаmlining.” Yes, it’s longer, but it sounds so much better. We’ve given you a lot of information in this blog entry, but don’t get overwhelmed! One easy way to tackle these tips is to make a check list. Go over your resume numerous times and look at it through the lens of each tip. Adding your location will only take a few seconds, while other tips might take a little longer, but the time and effort will pay off in the end.